As William Bradford Christian School grows in size, we are afforded the opportunity to add athletics and other extra-curricular activities to our offerings. These sports and other activities will be expanded as the school continues to add students. 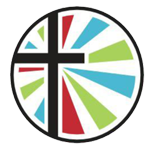 The school is a member of Heartland Christian Athletic Association.